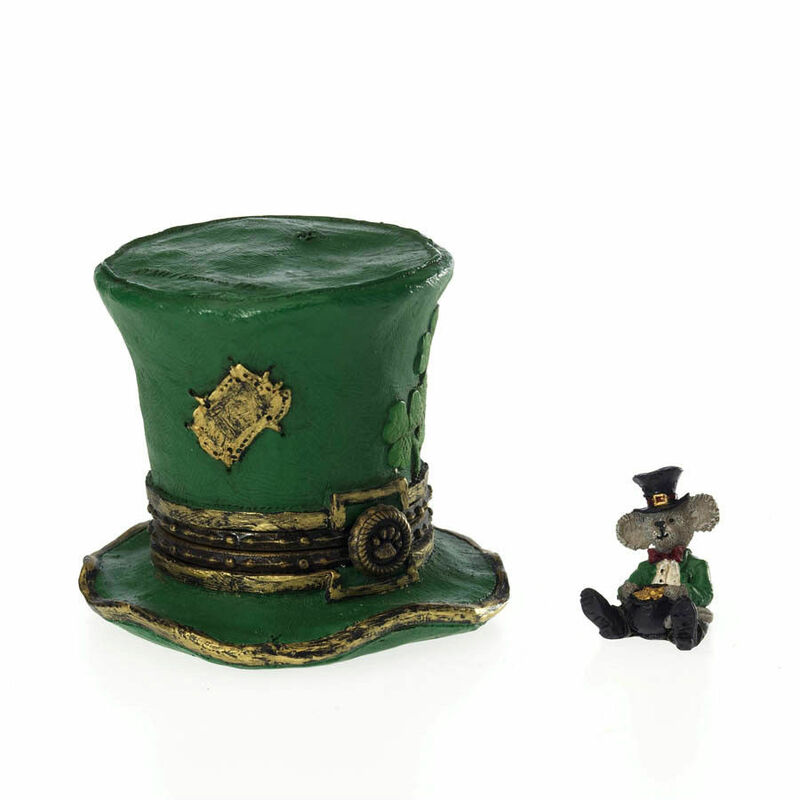 THE BOYDS COLLECTION LTD. Boyds Treasure Box "Lucky’s Top Hat w/Paddy McNibble" Boyd's Treasure Box Collection Cold Cast Resin Hinged Box Style #4026264 1ST EDITION - 1E Boyds Bear Paw Clasp Aprox. 3.25" tall Issue 2011 - Retired Only available on the Secondary Market New In Original Box Shipped from our store inventory. ACCEPT NO SUBSTITUTES! 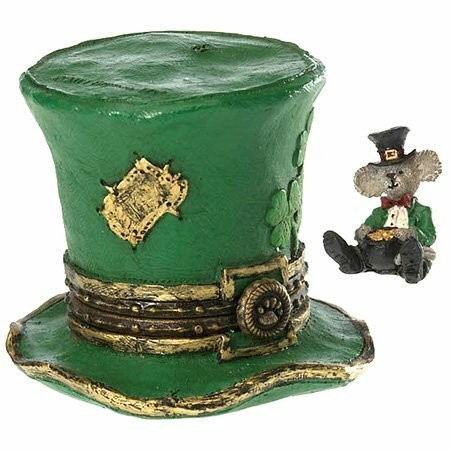 A great gift for a Treasure Box Collector PAYMENT SHIPPING ***PLEASE EMAIL WITH ANY QUESTIONS PRIOR TO BIDDING*** PayPal is the accepted method of payment and must be made within 5 days of auction close, unless other arrangements are made. Most items ship within 1-2 business days following cleared payment. WE WILL COMBINE SHIPPING WHENEVER POSSIBLE On multiple purchases that are paid and shipped together we will combine the S H charges to save you money. Before checking out and paying - Message us we will send you a combined shipping invoice. If your looking for something special.... Please email me with any questions Contact me thru the "Ask Seller A Question" right on the auction listing page. I will get back to you as soon as possible! AND VISIT OUR STORE Add us to your favorite's List Adding a Massive Inventory of Older Boyds Bear Products All New Product We are adding new items daily.... Come Back Soon!! Good Luck Bidding and Thanks For Looking! Graphics PrimGraphics 2007 Raggedy Dreams Auction Template Froo www.froo.com Froo Cross Sell, Free Cross Sell, Cross promote, Marketing, listing Apps, Apps, Application FREE! Sellers: Add a FREE map to your listings. FREE!